Details of a new competition for you to enter, how it feels to complete 200 episodes of the podcast, jingles, a message from Alex & Paul, and more! Right click here to download. Hello! And welcome to the podcast. This is a very special episode, because it’s the 200th one! Wow, I made it to 200! Amazing! Obviously I’m delighted about that. This is the 200th anniversary of LEP, and before I tell you all about how that feels, I’d like to begin this episode by telling you about a new competition I’m launching today, which I’d love you to take part in. So first I’m going to tell you all about the competition, and then I’ll celebrate 200 episodes of LEP with you. OK, so let’s get started. 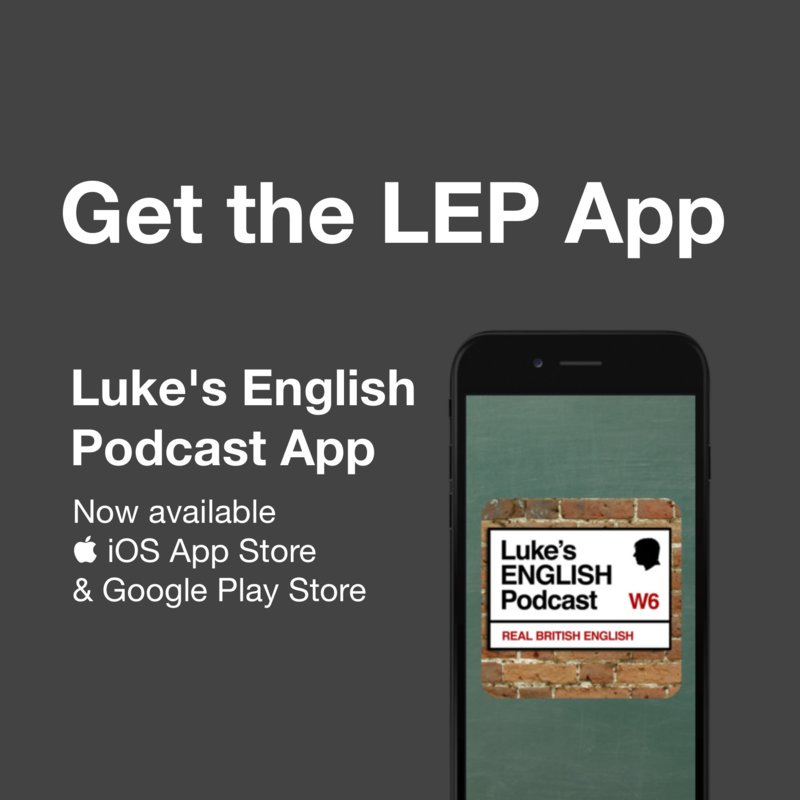 This is the 200th episode of Luke’s ENGLISH Podcast and to celebrate this momentous occasion I’ve decided to launch another LEP competition in which you can send me your audio recordings. I did a similar competition over 2 years ago, and now I’m doing another one. This one’s called “Your English Podcast”. Why? Because I’d like you to imagine you are recording 5 minutes of your own English podcast. Just record and send your 5 minutes (or less) to me, I’ll play your recordings on the podcast and then listeners can vote for their favourite. I will count all the votes and announce the winner. 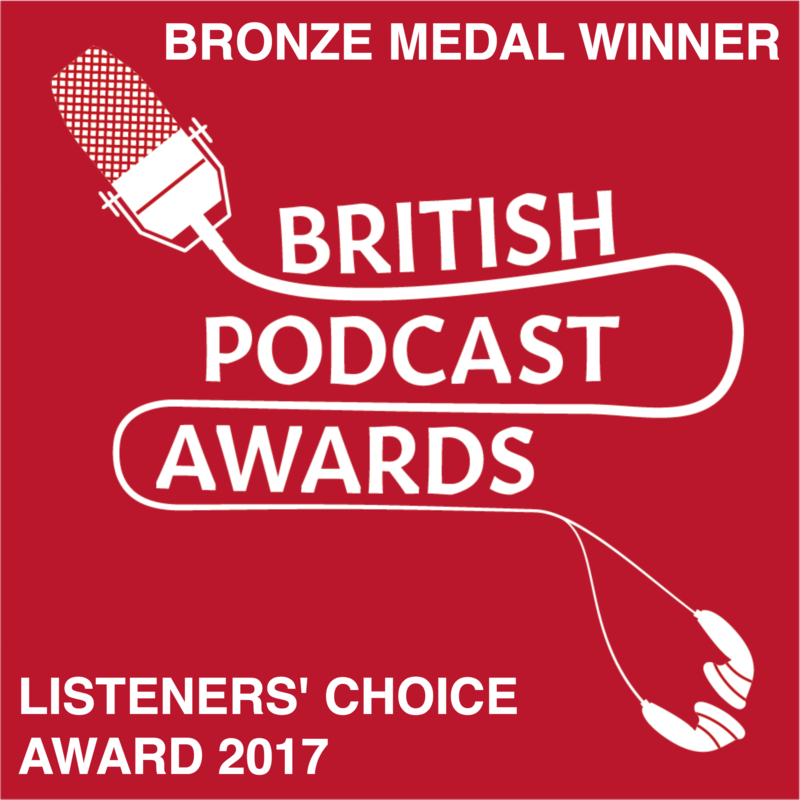 The prize for the winner is to be interviewed on an episode of Luke’s English Podcast. Doesn’t that sound exciting? It should do! I did my first competition 2 years ago and it was amazing to hear the voices of my listeners. Camila Andrade from Brazil won that one. She got a very special prize – a phrasal verb dictionary. Since then, the podcast has gone from strength to strength and I’ve picked up new listeners, old listeners have improved their English, I’ve dealt with many more topics and events on the podcast. It’s time for us to hear what the LEPPERS have to say for themselves. This is your chance to have your voice heard on Luke’s English Podcast. And ultimately, if you win, you could become famous around the world as you are interviewed on the podcast via Skype. If you’re shy, I understand – I’m nice, I’ll make sure you’re okay, and so will the listeners – because the great thing about the LEP community is that my listeners are good people. I can’t wait to hear from you, and to give you a platform to say what you’ve got to say to the world. 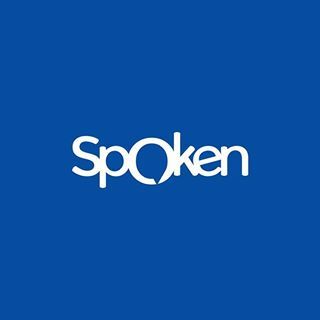 Record yourself talking about whatever you want for 5 minutes, send the recording to me, I’ll feature all your recordings on special episodes of the podcast, listeners can vote for their favourite and the one with the most votes gets featured on an episode of the podcast in a Skype call with me. BUT there are some rules to make sure this competition is fair and is not impossible for me to manage in my limited time! – Opening date: NOW! The competition is now open so get started! 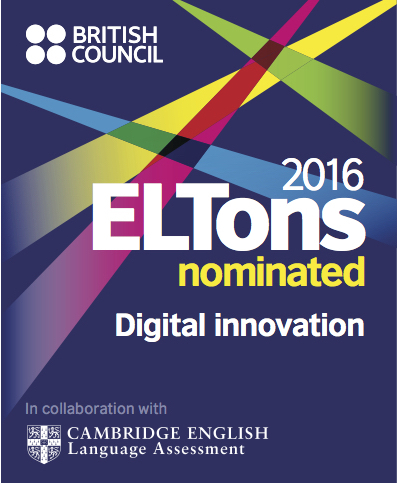 – Closing date for entries: 31 August 2014. After that I will collect all your audio recordings and take time to prepare episodes in which I showcase your competition entries. People can then vote by leaving comments on teacherluke.co.uk. I’ll give you more information about voting later on. – Time: You’ve got 5 minutes, maximum. You can talk for less than 5 minutes if you like, but please make sure you don’t exceed the 5 minute limit. – What to say: You can say whatever you want! This is 5 minutes of YOUR podcast. If you like, you can imagine you have your own English podcast, called “Jose’s English Podcast” or whatever your name happens to be. 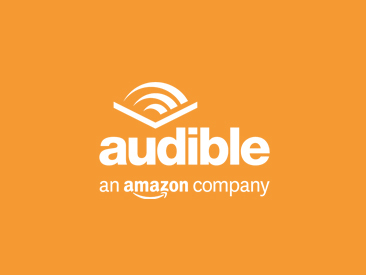 If you like, you can welcome listeners to your podcast at the start by saying “Hello and welcome to Jose’s English Podcast”, and say goodbye to your listeners at the end. It’s completely up to you what you say, and how you say it. This is your English podcast. – Name & Country: Remember to tell us your name and where you come from. This will help people to remember you and vote for you. – Voting: I will collect all the audio files which are sent to me, and I’ll play them all in one episode (or more) of LEP, in alphabetical order by name. Listeners can then vote by leaving comments. – Audio files: Send your audio file to podcastcomp@gmail.com only. I will only accept entries which are sent to that email address. Please do not send me competition entries on Facebook or to my Hotmail account. podcastcomp@gmail.com is the only email address I will accept. – I’m only accepting audio files – not text entries this time. – I’ll give you more information about voting later. For now, you can start preparing your competition entries! When recording your entry, try to make the sound quality as good as possible. Most phones and computers will allow you to record your voice pretty easily, but try to be in a quiet room in your house, away from noisy windows, washing machines or other people. You can send me audio in a variety of file formats: wav, mp3, mp4, avi etc. I prefer mp3 as it is quicker to process. If you want you can include a jingle, sound effects or even background music, but you’ll find this is pretty time-consuming and complicated. Ultimately, people just want to hear your voice clearly, so focus on that. It’s normal to be a bit stressed or nervous when recording yourself. Don’t let that stop you. Try to enjoy it! Enthusiasm is a very attractive quality. LEPers are all lovely people so don’t worry – you’re among friends and I’m sure people are going to be very welcoming and enthusiastic about hearing what you have to say. Try not to read out a script which you have prepared earlier. You can do this if you like, but I think it sounds more natural if you’re not reading from a pre-written script, and ultimately it’s better for your spoken English. Writing notes is a good idea – just write the main points you want to make, but don’t write it out word for word – just write enough to help you remember. You should practise your speech a few times until you’re comfortable. Try to bring your speech to life and put your personality into it if possible. If you prefer, you can just improvise the whole thing without any practice – in fact, that might be even more exciting or engaging if you do that, but it will also be slightly more challenging too. Ultimately, just have fun and enjoy taking part in the competition. Don’t stress too much – it should be enjoyable and a fun way to practise your spoken English. I’m sure that everyone will be fascinated to hear short messages from LEPers all around the world! Personally, I can’t wait. If you don’t know what to say and you need inspiration, perhaps you could respond to something you’ve heard on Luke’s English Podcast, or even (as a joke) you could parody my style of talking on LEP, a bit like this (from Alex Love & Paul Langton). It’s totally up to you. I’m really looking forward to receiving your audio entries at podcastcomp@gmail.com, so get started! Why did you start LEP? 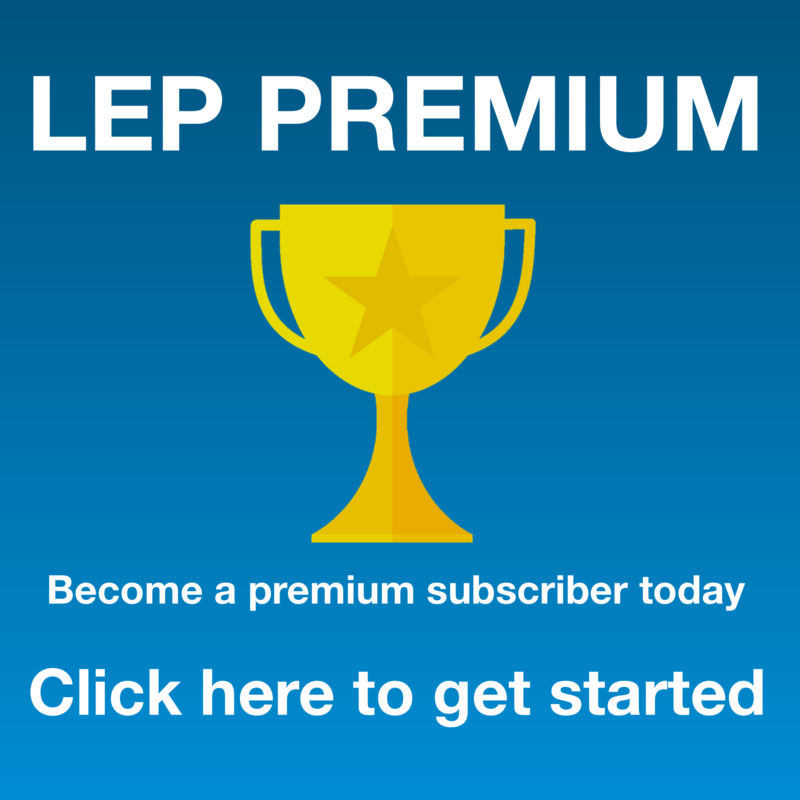 When did you start LEP? What’s your objective with LEP? What level is the podcast for? Are you ever going to stop LEP? What’s your favourite thing about doing LEP? Are you happy doing LEP? Does it ever make you unhappy? Is there anything frustrating or even scary about doing LEP? What do you expect from your listeners? Do you ever get any negative comments, hate mail, or trolling? Are you rich yet? How rich are you now? What do your friends and family think of LEP? Has LEP helped you in your life? How does it feel to be so famous? How much time does it take to do an episode of LEP? Why don’t you do more videos? 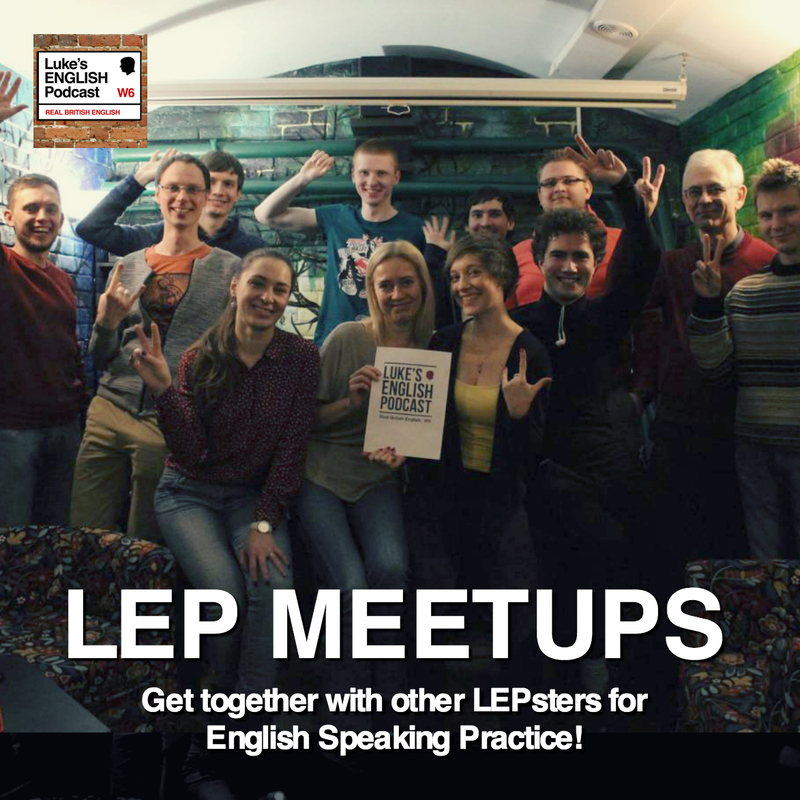 How about arranging an event so that you can meet LEPPERS? Why don’t you have your girlfriend/fiancee on the podcast? Someone told me that you have a new job? Is it true? Do you have anything else to say to the people of the world? Always look on the right side of life …. This entry was posted in Advice, Competition, Hello, Humour, Learning, Messages from Listeners, Music, Native Speaker, News, Personal, Podcast Information, Teaching and tagged competition on July 25, 2014 by Luke Thompson.